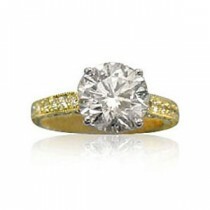 Enchanting vintage engagement rings, featuring intricate handmade settings, capture a timeless elegance. 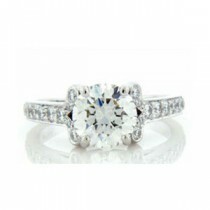 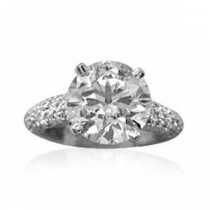 Our collection of vintage rings includes those that share the popular halo effect. 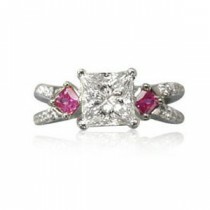 With this design technique, a solitaire gemstone is surrounded by numerous smaller stones to create a diamond halo. 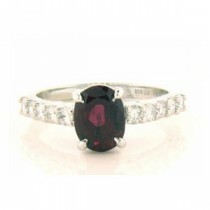 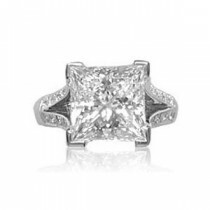 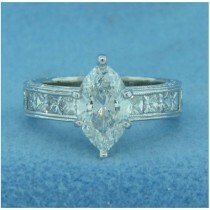 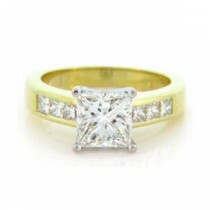 The halo style of engagement ring can be traced to the Art Deco period. 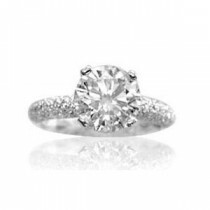 Its romantic appeal continues today. 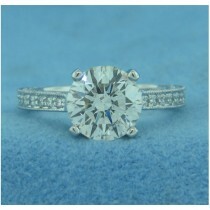 We have gorgeous vintage rings without halos too. 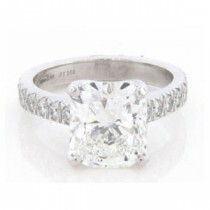 You’ll notice the unique settings available in our collection of vintage diamond engagement rings, including a split shank mounting for a brilliant round cut stone that’s framed by a myriad of round diamonds. 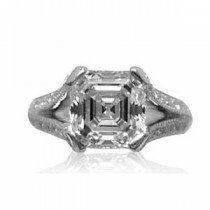 In contrast to modern styles, our vintage engagement ring settings offer geometric designs and patterns of inset diamonds for one-of-a-kind presentations. 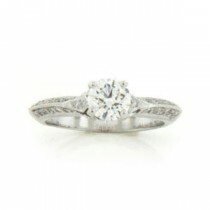 Our custom vintage style mountings are precisely crafted for any diamond cut. 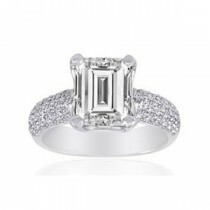 If you’re just beginning your search for the perfect ring, take a moment to see our engagement ring guide. 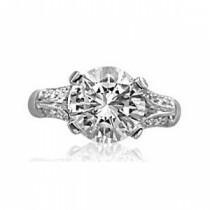 Our glamorous vintage diamond rings share sparkle in delightfully detailed settings. 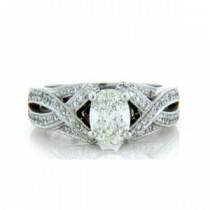 The intricate lines and charming details in our vintage designs set this collection apart. 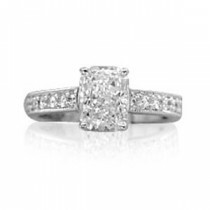 Choose a hand-engraved setting for a glorious diamond cut and achieve beauty and refinement. 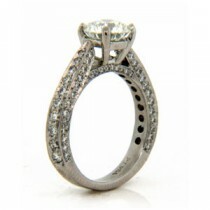 Vintage styles mix diamond shapes and offer extraordinary settings to hold them. 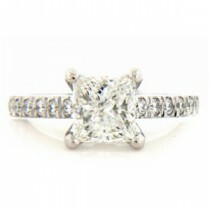 Spotlight a radiant cut diamond as a center stone, accented by half moon diamonds and a micropave setting. 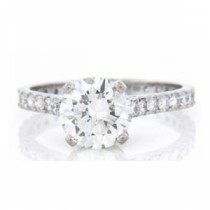 Our micropave engagement rings feature closely set and uniform small stones that create a glistening band of diamonds. 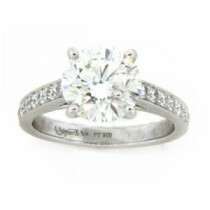 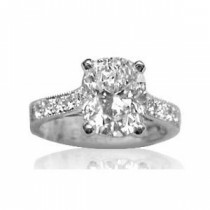 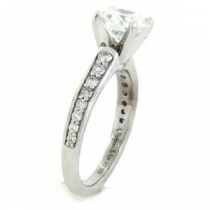 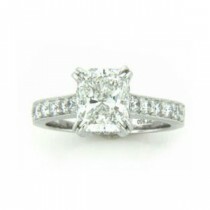 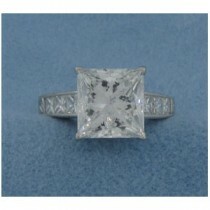 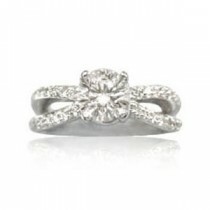 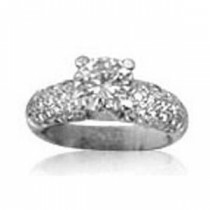 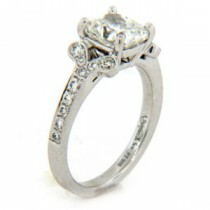 We specialize in custom-made vintage diamond rings. 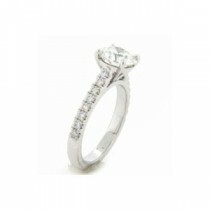 They’re expertly made to accommodate a range of diamond weights. 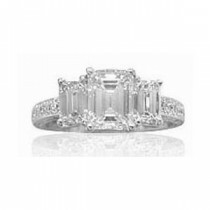 From diamond rings to emerald bracelets, trust us to create your heart’s desire.